Michigan is quietly becoming an excellent destination for gamblers. The state has a long history of legalized gambling and has mostly followed national trends for the expansion of slots and table games. Horse racing has been legal in Michigan since 1933. Its state lottery has been in operation since 1972 and has recently launched Michigan Lottery online games. Most importantly, as in other states with strong, well-established Native American tribes, Michigan rapidly expanded casino presence after the passage of the Indian Gaming Regulatory Act in 1988. By 1996, Michigan was home to 17 casinos, and expansion has continued since. 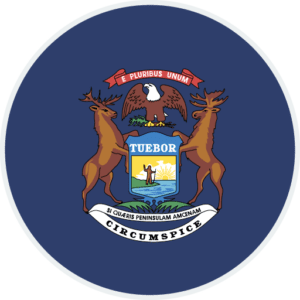 Furthermore, emboldened by the success of the casino in Windsor, Ontario – just across the border from Detroit – voters approved the Michigan Gaming Control and Regulation Act, which allowed for the construction of three casinos within Detroit’s city limits. With Pennsylvania passing online gaming legislation, casino operators in NJ and PA with properties in other states could ramp up their lobbying efforts. Detroit’s Greektown Casino-Hotel is finally getting the rebranding its owners promised almost 18 months after it was announced. It’s not happening at the pace supporters would like, but from lottery to DFS, legal online gaming is spreading across the United States. Michigan recently passed the “Lawful Internet Gaming Act” which would legalize online gambling within the state. The bill was vetoed by Gov. Rick Snyder at the end of 2018. Many anticipate the bill will move quickly again in 2019 with a new governor in place. The bill establishes a favorable eight percent tax rate, with another 1.25 percent local share added for commercial casinos in Detroit. Regulators would be authorized to issue internet gaming licenses to any commercial or tribal casino in the state. Applicants would pay $100,000 apiece. If approved, licenses run $200,000 for the first year and $100,000 annually thereafter. Language in the bill allows regulators to create a sports betting licensing structure, however, they are not required to do so. Tribal licensees would be exempt from the 1.25 percent tax. Tribes would also be allowed to apply for sports betting under commercial licensing rules. Additionally, they would be exempt from the extra payment. As of 2018, Michigan is home to 25 casinos. The three Detroit spots (MotorCity Casino, MGM Grand Detroit, and Greektown Casino) reported revenues of almost $1.4 billion dollars in 2016, which translated into over $112 million in taxes for a state that’s fiscal troubles have been well-documented. For slots players in Michigan, the picture is incredibly bright. Michigan casinos offer patrons almost 32,000 slot machines for play. The largest concentrations in individual casinos occur at MGM Grand Detroit and Soaring Eagle Casino and Hotel, which each offer close to 3,500 slot machines. For Detroit players, the other two casinos are not far behind in machine count, and altogether, the three Detroit casinos account for over 9,000 machines – all within the downtown area of Detroit. All in all, Michigan residents find themselves sitting very pretty. The casinos are not only plentiful, but also spread out throughout both the upper and lower peninsulas of the state. Table games and poker are also available at these casinos. Below are the 11 largest casinos (by number of machines) in Michigan. Michigan is still without legislation regarding legalization or regulation of online gambling. In 2016, State Senator Mike Kowall introduced SB 889, which would have provided Michigan residents with legal ability and facility to engage in online gaming. The bill entered committee in April and was introduced to the Senate on June 9. All looked promising for moving the bill along. Then – nothing. There are no more references to the bill or even any legislative data beyond its referral to the legislative body. It is hard to know from where its resistance came, but the only news reports about it expressed bewilderment at watching time run out on the bill. So, Michigan residents must console themselves with the plethora of land-based options for right now. With luck, the state legislature will revisit the issue in the very near future. Given that the bill made it out of committee successfully, it seems likely Michigan will have online gambling before too long. Michigan offers one of the few fully-fledged legal online lottery sites in the United States. Players can enjoy a wide variety of games – including draw games like Powerball, Keno, and dozens of instant win games – at the Michigan online lottery site. Learn more about playing Michigan online lottery games here. Michigan residents have unique options for social gaming available to them. Eight of the tribal casinos (the three Four Winds properties, FireKeepers, Bay Mills, Gun Lake, Turtle Creek, and Leelanau Sands) offer free play gambling through the Play4fun Network, which allows visitors to sample both slots and table games from the comfort of their computers. Though there is no real-world component to the gaming (no promotions or comps to be won through the site), social casinos do allow patrons to familiarize themselves with the offerings at these casinos. A ninth casino, Island Resort & Casino, also has a free-to-play offering, but it is the only one of these to have its own website – the other eight were clearly created using this Play4fun Network’s web design and functionality. However, other than the fact that the tribe made the website itself, there are no differences between this site and the other eight. Obviously, all of the usual suspects – Double Down, Slotomania, Zynga, and Big Fish – are available via Facebook or the other typical social media platforms. MyVegas, MGM’s free comps app, is also available to Michigan residents, but there is some frustration here. MGM Grand Detroit does not function as a partner to MyVegas. It seems like a natural fit for a MGM-branded casino in Michigan to offer this program to its visitors, but no such luck – players on MyVegas will have to travel to redeem their loyalty points through MyVegas. Soaring Eagle Casino & Resort is the largest casino by gaming space in Michigan. For visitors to the Mount Pleasant property, there are 210,000 square feet of casino awaiting their action. A casino of this size places Soaring Eagle as one of the 10 largest casinos in the United States, larger than any of the casinos on the Las Vegas Strip. There are more than 3,300 slot machines, over 70 table games, and an 18-table poker room (which hosted a Heartland Poker Tour event until 2015) inside this massive gaming space. There is also a hotel with hundreds of rooms, a spa, and 10 restaurants. The resort offers an active performance venue, with upcoming shows featuring the likes of Steve Martin, Martin Short, Travis Tritt, Chris Tucker, and Journey. Most unique of all, the property also features its own self-contained water park, which includes golf, restaurants, rock climbing, and of course, water slides. Soaring Winds is owned and operated by the Saginaw Chippewa Indian Tribe of Michigan. The tribe is composed of three Ojibway bands of Native Americans and has lived in Eastern Michigan for hundreds of years. It built the Soaring Eagle on tribal lands in 1998, and in 2014, legal disclosures indicated that slot revenue alone in the casino totaled approximately $200 million annually. As was the intention of the Indian Regulatory Gaming Act, the debut of the Soaring Winds has bolstered the finances and economy of the tribe to a point of self-sufficiency and prosperity. There is no reason to think that this trend will not continue at Soaring Winds, a name that continues to pop up as one of Michigan’s finest casinos.